With every new year that passes, there comes a slew of new trends to go viral online. 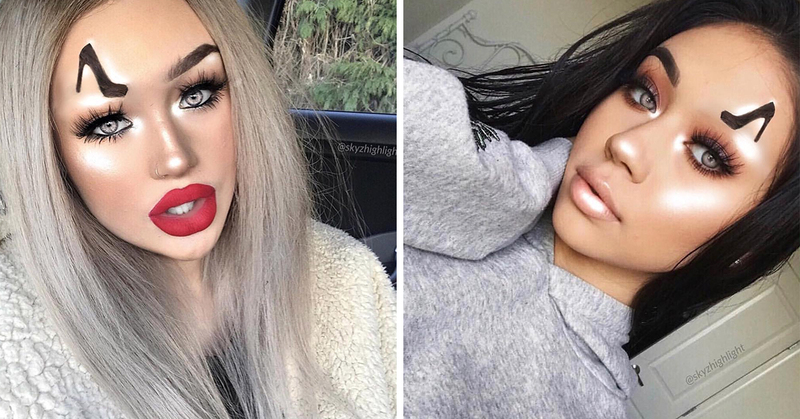 Recently the beauty industry has been booming with weird, creative, and experimental trends as more beauty bloggers and vloggers have become big names on social media. With Instagram being as popular as it is, more beauty bloggers are able to maintain a steady following on the app with millions of fans. 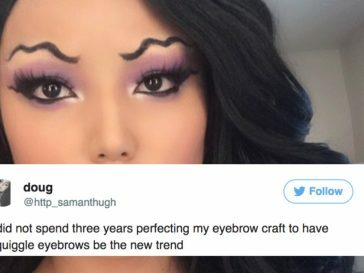 So, when they decide to share some “crazy new” trend, it’s only a few days before it goes absolutely viral and everyone else tries it as well. 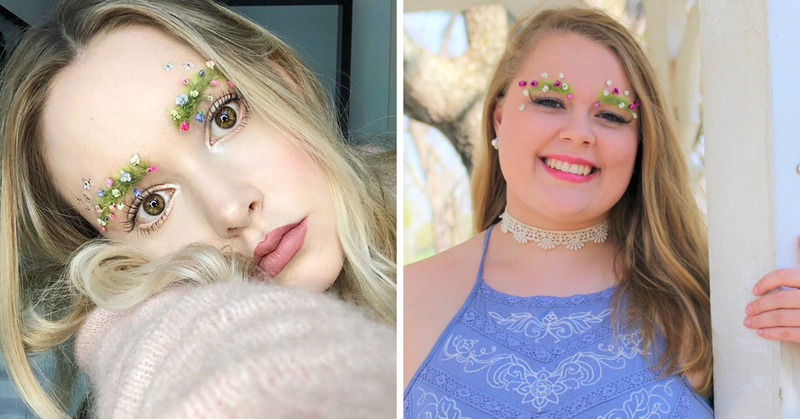 Last year, we saw a lot of crazy things that bloggers have done to their eyebrows, like squiggle eyebrows and even decorating them for Christmas–but, now, they’re doing some weird, weird things to them. After other beauty gurus saw the look, they tried it out for themselves. To be honest, I’m not a fan of this look. It looks like you shaved an entire chunk of your eyebrows out and it makes me cringe. It’s just not cute–in my eyes. Also, why would anyone want to go out like this? Is this a “date night” look? Pass. Hard pass. Luckily, people on Twitter agree with me. Fishtail eyebrows look soooo stupid. Fishtail eyebrows are even worse than when girls used to slit their eyebrows. Plz stahp.